The capital city of Argentina (the Federal Capital) is filled with great excitement and energy, and Buenos Aires is now no longer an expensive holiday destination. Tourism in Buenos Aires comes in numerous different guises, with tourists finding many of the main places of interest based around the Microcentro neighbourhood and its Plaza de Mayo square, which is littered with modern skyscrapers and renovated structures, such as the rather elegant and historical Galerias Pacifico building, close to both the pedestrianised Florida area and the Avenida Cordoba. Also known for their tourism offerings are La Boca and San Telmo, the latter of which is famed for its Argentine tango and weekend antiques market. Shops, restaurants, museums and parks are in good supply within Buenos Aires, and many reside within the areas known as Belgrano, Palermo, Recoleta and Retiro. Tourist information kiosks are spread around the city's main districts and bus stations, and there is even a tourism booth at Ezeiza International Airport. Argentina's number one city is certainly not short of quality tourist attractions and truly memorable sightseeing opportunities. Both the Buenos Aires Zoo and the city's beautiful Botanical Gardens are particularly popular, while the Casa de Cultura and the Palacio de Gobierno should certainly not be overlooked, along with the regular performances at the Colón Theatre (Teatro Colón) and the Calle Libertad. Also in Buenos Aires is La Casa Rosada, which dates from the latter part of the 16th century and serves as the official residence of none other than the president of Argentina. 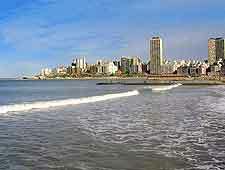 More information about Buenos Aires Tourist Attractions. Also of significance within Buenos Aires are the many magnificent religious buildings and churches, with the Metropolitan Cathedral (Catedral Metropolitana) easily being the most famous and impressive, and located on the Plaza de Mauo. Numerous further landmarks surround the Plaza de Mayo, which is easily the most important public square in Buenos Aires and offers a definite taster of Argentinean history. The Avenida Libertador is also home to some very noteworthy sights, such as the British Clock Tower (Torre Monumental) and the Islas Malvinas (Falkland Islands War Memorial). 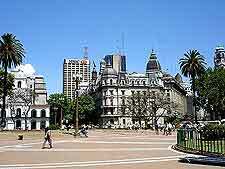 More information about Buenos Aires Landmarks and Monuments. As the Argentine capital, Buenos Aires will certainly not disappoint when it comes to museums. Many different topics are covered within the city's plentiful supply of museums, such as history, nature, sciences and ethnography. However, most tourists will find the exhibits at the Evita Peron Museum (Museo Evita) especially fascinating, particularly since they are housed within the mansion formerly used by the Eva Peron Foundation. For art galleries, National Museum of Fine Arts (Museo Nacional de Bellas Artes) is amongst the very best that Buenos Aires has to offer and filled with masterpieces created by acclaimed international artists. 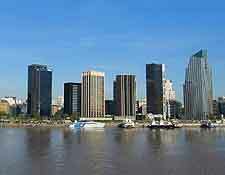 More information about Buenos Aires Museums and Buenos Aires Art Galleries. 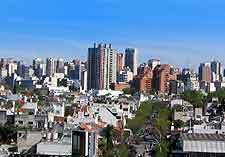 Many worthwhile day trips present themselves to tourists holidaying in Buenos Aires and those wishing to escape the city will find that the neighbouring town of Capilla del Senor offers a very different pace of life, as does the riverside suburb of El Tigre and the university town of La Plata. Visitors from Buenos Aires also often enjoy visiting the Isle Martin Gracia, a small island where the former president of Argentina, Juan Domingo Peron, was once imprisoned. 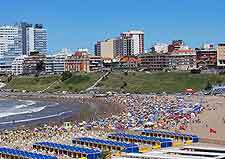 Other possible excursions include Lujan, Rosario, San Antonio de Areco and San Pedro, amongst many others. 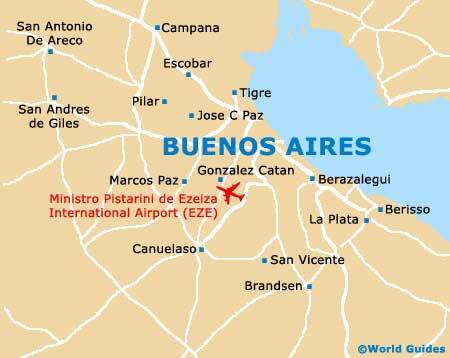 More information about Buenos Aires Attractions Nearby.